“Recalcitrant” is what Prime minister Keating once described Malaysian prime minister Dr Mahathir over economic considerations with APEC. In this century, “recalcitrance” has become a term more readily applied to the current persistently pro-coal conservative Government over issues of ecology. 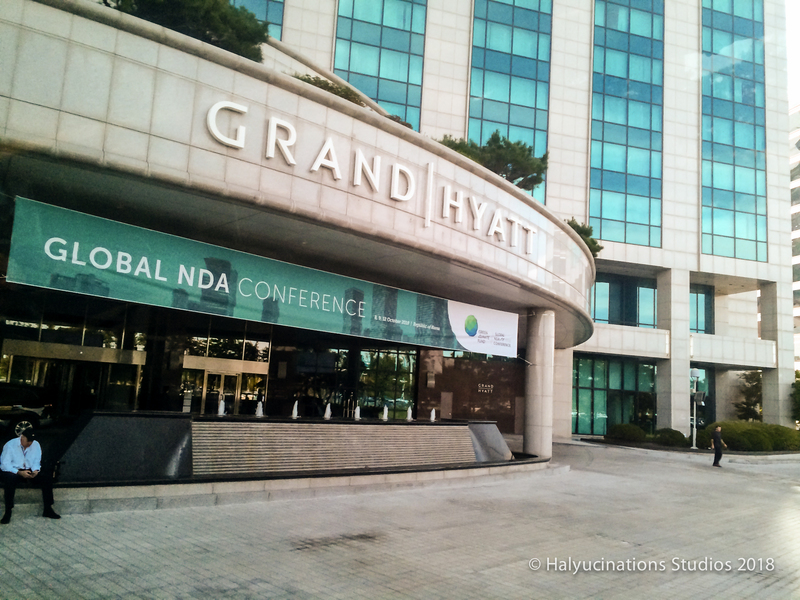 On the 8th of October 2018, as I was leaving Korea, I noted the first Green Climate Fund’s Global NDA Conference at the Hyatt Conference Halls had commenced next door to where I had been staying. Having addressed climate and economic policy failures by the Australian Government recently, I became interested in how these representatives of the global community were discussing climate investment opportunities to facilitate the reduction efforts against greenhouse gas emissions. The question on everyone’s mind is, of course, are we up to that challenge and can we do it in time? It is well observed in literature and public commentary that the greatest obstacle to adoption of climate change mitigation is not the science, but the political policymakers and their conservative media support. Notable is their reluctance to take scientific advice over significant business lobbying and financial donations. Hence the desire to either shift the climate change discussions away from the political arena or build a “bridge” the economic policymakers of the world have to cross. 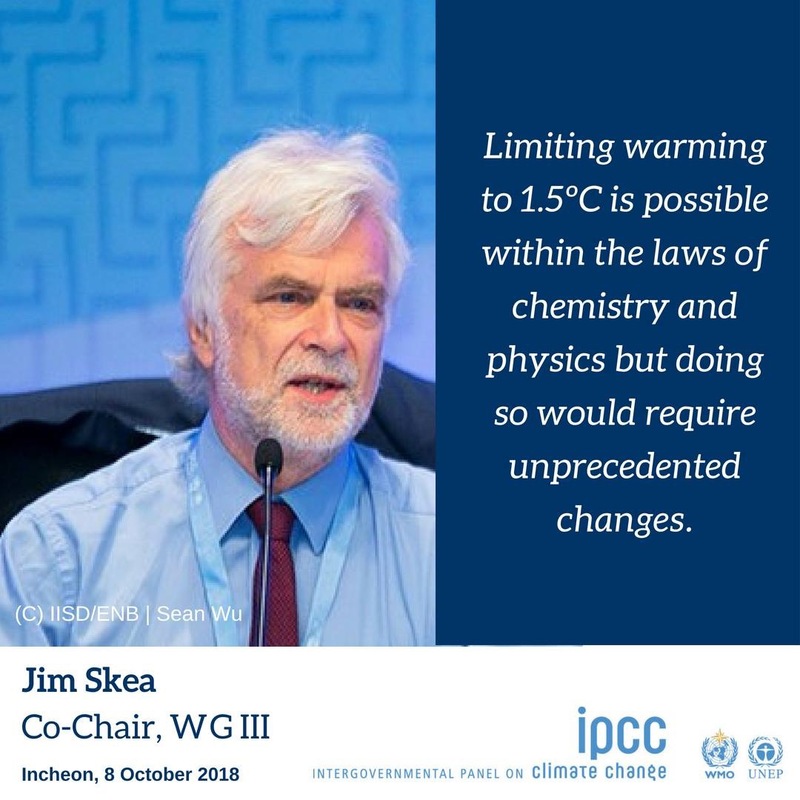 The later is what the IPCC report attempts to address. Back in Australia, the IPCC report bridge to our policymakers seems to have suffered the same fate as that of the Ludendorff Bridge at Remagen in 1945 at the end of World War 2. It similarly, has been captured by allied forces (western political democracies such as Australia and America), and they are hell-bent on no one crossing it. Hopefully destroying that metaphysical bridge will be as difficult as was the physical one. Although that analogy is troublesome because when they eventually destroyed the Ludendorff Bridge, it was never rebuilt. Regarding climate change mitigation policies, legislation, measures and institutions the CLIM index (for measuring these factors comparatively for 95 countries) places Australian 55th in the world somewhere after Mongolia and Egypt but doing marginally better than Belarus and Uzbekistan both of whom have economies that are heavily based on fossil fuels. Just as a point of comparative interest, the United States is 45th in the world. Meanwhile back in South Korea (18th on the CLIM index), the participants at the Global NDA Conference know that the South Pacific and Asian regions have the most to lose if climate change is not mitigated. Across the continent from the Korean NDA conference, the South China Morning Post had previously reported. “Australia’s new prime minister will not revive plans to embed carbon emissions targets in law, a thorny issue that triggered the ousting of his predecessor in a party coup.” It is not merely a matter of “revival” of policy plans but hostility to even considering implementing any. Pressure by the Institute of Public Affairs (the policy lobbying arm of the Liberal conservatives) to exit the Paris Climate agreement is exemplified by their policy propaganda piece, “Why Australia must exit the Paris Climate Agreement”. In the early history of that “party coup”, it was evident the conservatives held out hope that Dutton’s potential rise to power meant an end to the Paris Climate accords. While the emerging choice of Prime Minister, Scott Morrison has ruled out exiting the Paris Climate accord, he has decided to deny any further funding to the global climate fund. Claiming in an interview; “I’m not going to spend money on global climate conferences and all that nonsense.” So I can assume it is safe to imagine that the Australia government was not contributing to the NDA conference in Korea, despite Australians having contributed to the IPCC report. Australia’s recalcitrance in following the leadership of European and British nations in preference for American policy adherence is disheartening and irresponsible. The failure of leadership on climate change by Australian Politics is well recognised even abroad in other countries. Ironically, the delays on mitigating climate change risks instituted by one Australian Prime Minister had previously been considered a luxury we could not afford. While the political ideology denies the science in preference for economic overtures and lobbying of financially significant fossil fuel interests, the future of the planet and our collective ability to survive climate change is at stake. Since the report has emerged, the government has not backed down from this position and confirmed their rejection of the IPCC report to back away from coal power over the next 30 years. For a country replete in land and sunlight for setting up solar power generation, the excuses against transitioning our energy supply are feeble. Options include intermittent power supplies provided by solar panels, to the 24-hour power supply of solar reflectors heating molten salts, Wind and geothermal, although intermittent, backed by the hugely successful battery storage exemplified by the much faster supply response by the South Australian Tesla batteries set up by Elon Musk, is also potentially plentiful. Scotland expects to harvest all its electricity via renewable means by 2020 and California expects to be complete by 2045. While this nation and state had both different starting points, what has made the difference is not technology, but a political imperative to pursue the goal to not continue to heat the planet. We have untapped employable resources in Australia, with already 2.383 million people under and unemployed and not enough job vacancies to absorb even 8% of that number. We have the educational resources with 42 universities and 59 TAFE institutions dispersed across metropolitan and regional areas of Australia. This is, despite a concerted effort by conservatives, to restrict access to education. Spending money on innovation, employment and educational resources to boost climate change mitigation infrastructure is a clear growth strategy for our economy, according to the Treasury. Other Nations have demonstrated evidence that climate mitigation has been economically prosperous. What we don’t have, is the political will to act to survive anthropomorphic climate change. 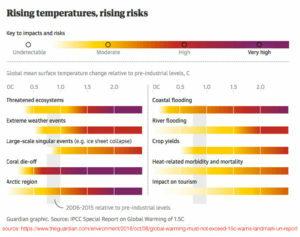 Fear mongering about climate change mitigation by the Liberals, the IPA and mining/coal lobbyists is not based on evidence or the examples of nation-states on this planet. 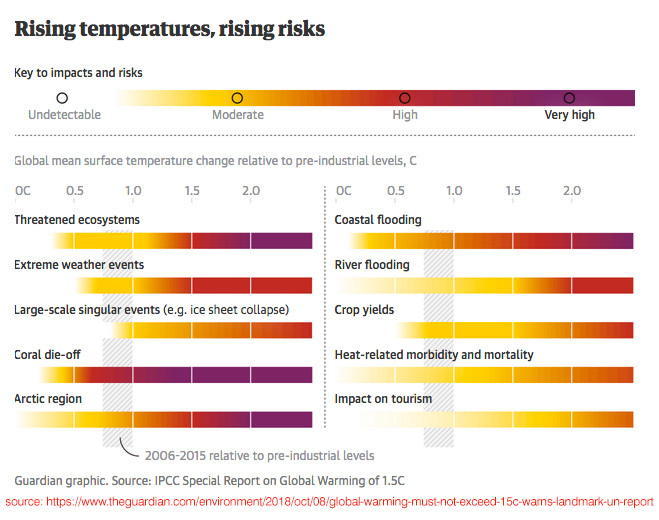 Climate change disharmony (evidenced by increasing global heatwaves, and abnormal climate events) on the other hand, are increasingly apparent. Scientists and experts at these conferences have for decades repeatedly warned us, time is running out, and we need to act soon and fervently. If big business lobbying and political ideology are all that stands in the way of averting a climatic breakdown, then we as Australians need to vote out of office anyone who even remotely risks the future of our planet, in preference for greed and power. « The wages of pollution is tax	» A Climate of Opinion.